Roll back eight years and I was out on the town nearly every night with friends, dancing until dawn and drinking whatever was the cheapest option that evening (usually Passion Pop, ew). These days I prefer a few drinks with close friends and something I actually enjoy drinking. 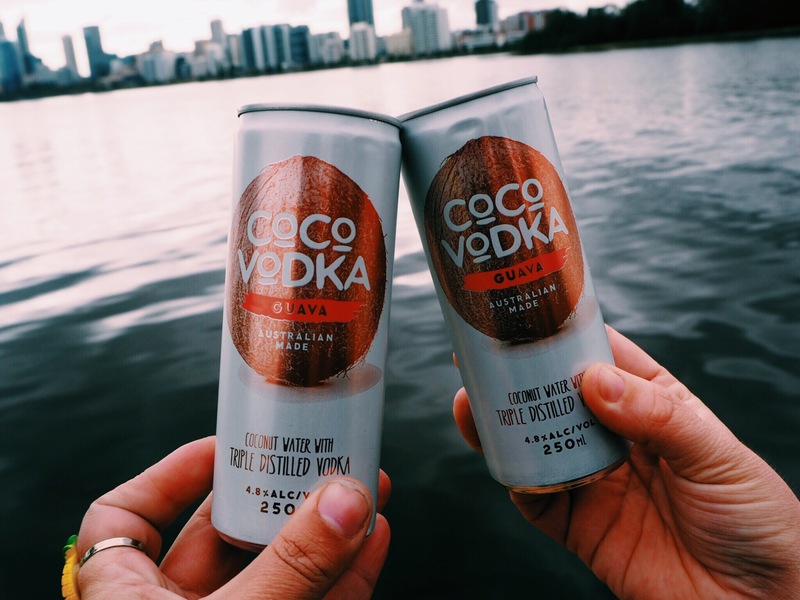 Introducing my new favourite go to beverage – Coco Vodka. Sounds delicious already, right? 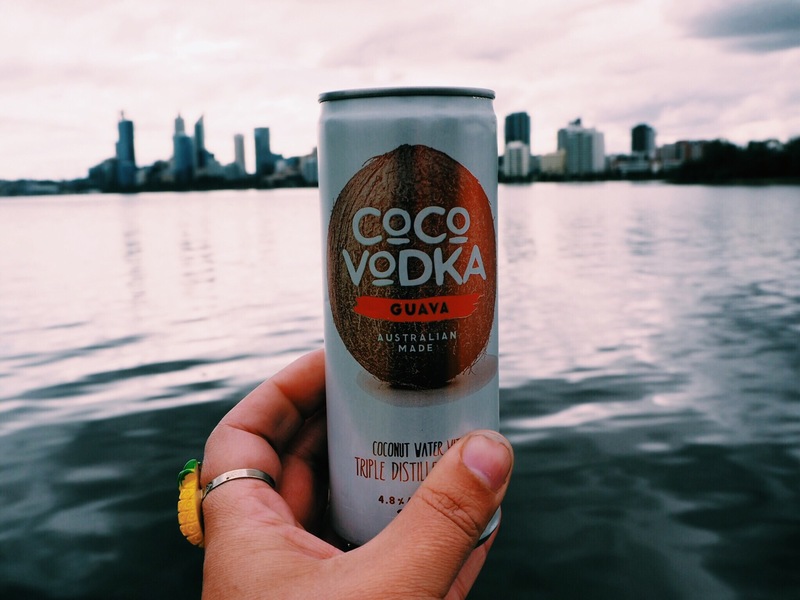 The Aussie vodka connoisseurs have created the perfect combination of triple distilled vodka mixed with refreshing natural coconut water (the real stuff from a young coconut of course) plus the flavours of fabulous fruit. I was kindly offered the chance to try the new Guava flavour and what a hit! Made from natural guava juice, this beverage will be perfect for the sunshine months. Gone are the days of cheap champagne and $5 cask wine, I know what I’ll be drinking this Summer. E and I have had a few things to celebrate lately (I’ll explain more at a later date) so popping down to South Perth’s iconic foreshore with Coco Vodka in hand felt like utter perfection. Toasting used to be all about bubbles, but since discovering this little beauty there is no need to lug the champagne flutes around! Here are a few other places I’ll be taking my Coco Vodka when the heat turns up. 1. Music Festivals (only the ones you can BYO of course). No need to pay top notch for other vodka alternatives, this one has my heart (and taste buds), plus it’s only $17.95 for a four pack! 2. BBQ’s – can’t you just imagine cracking open this new friend, it’d be beautiful with a fresh salad and BBQ eats. 3. Roadtrips – windows down, indie pop tunes cranking. I can feel it now! 4. The Beach – sun, sand and surf. Pretty much self explanatory. 5. Ladies Night – because this lady likes it sweet, and refreshing! 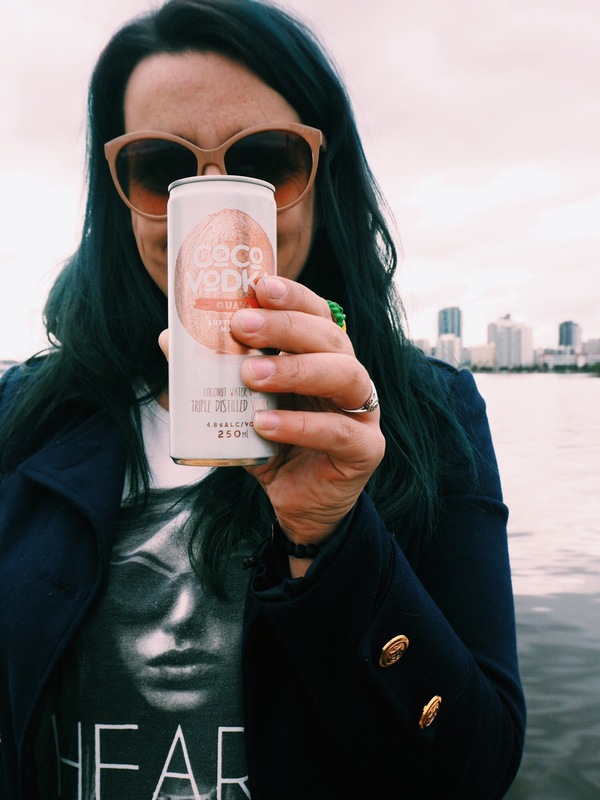 Coco Vodka is available at Dan Murphy’s but if you want to win yourself a case get over to their Instagram page now. PS – always drink responsibly! What is your drink of choice in the sushine months? * Coco Vodka provided for my review, all opinions are my own. Yum!!! So long as you are not drinking what looks to be a great drink whilst DRIVING with your mates. Hahahahahahah. I love a summer single serve beverage option when others are on beer – UDLs, Breezers, Cruisers are so sweet I can usually only manage to get one down at a time and even though you can get piccolos of wine/sparkling – drinking straight from them is dead boganic. This sounds like a good solution! OMG I’m totally guilty of drinking from a wine bottle (not even a piccolo) BAHAHA! So boganic (love that word btw too)! The drink is sweet but more fresh fruity than sickly cruiser! Next PostBloggers, body image and being you ; a fashion intervention.